Colossians 3:16 The word of Christ must live in you richly. Teach and warn each other with all wisdom by singing psalms, hymns, and spiritual songs. Sing to God with gratitude in your hearts. Early life in church meetings. Sing, pray, listen, rejoice. 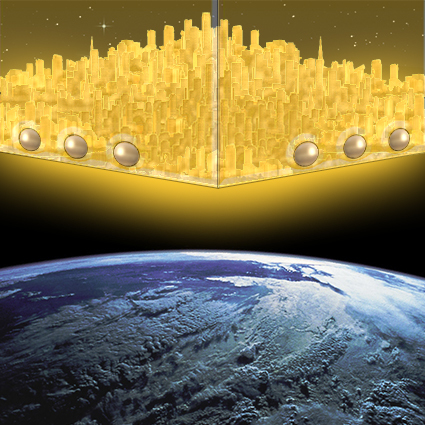 The return of the kingdom of God to earth was an event initiated by the immersion of the Apostles in the Holy Spirit on that first Pentecost after Christ’s resurrection (Acts 2). The dwelling of God among men fully culminated in the destruction of the temple in 70 A.D.(Revelation 18:2) This is when the New Jerusalem came down out of heaven and God himself announced the restoration of all things. In the words given to John, “ I saw the holy city, New Jerusalem, coming down out of heaven from God, made ready as a bride beautifully dressed for her husband. I heard a loud voice from the throne say, “Look! God’s dwelling is here with humankind. He will dwell with them, and they will be his peoples. God himself will be with them as their God. 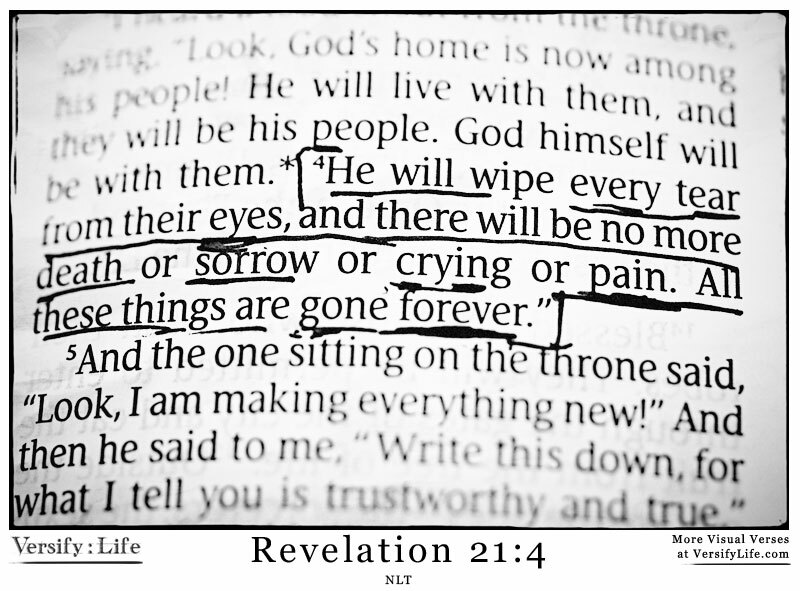 He will wipe away every tear from their eyes. Death will be no more. There will be no mourning, crying, or pain anymore, for the former things have passed away.” Then the one seated on the throne said, “Look! I’m making all things new.” He also said, “Write this down, for these words are trustworthy and true.” Then he said to me, “All is done. I am the Alpha and the Omega, the beginning and the end. 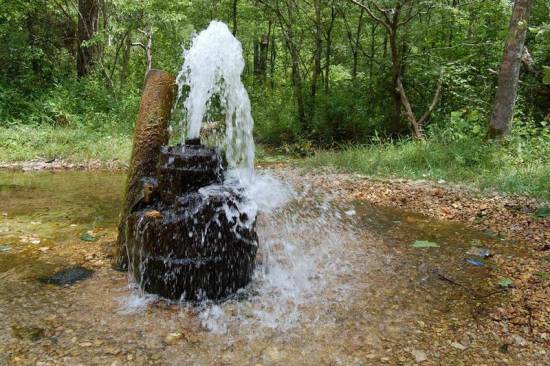 To the thirsty I will freely give water from the life-giving spring. Those who emerge victorious will inherit these things. 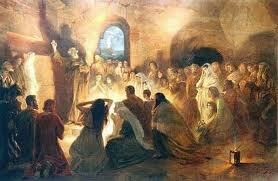 I will be their God, and they will be my sons and daughters.” (Rev. 21). This was witnessed by the Apostle John who was also privileged to experience the vision of Daniel’s “time of the end” in the culmination of the events presented in the Revelation. Since the completion of the written New Testament, students have gleaned the scriptures to fully understand the changes from Old to New Covenant. Many have gone beyond the things that have been written; instituting law, convening church government, dominating State affairs, instituting church universities, building crystal cathedrals and granite temples, and inflating the simplicity of the Christian assembly into a pageantry of popes, robes, incense, and priesthoods; a return to the former things of the Old Testament. 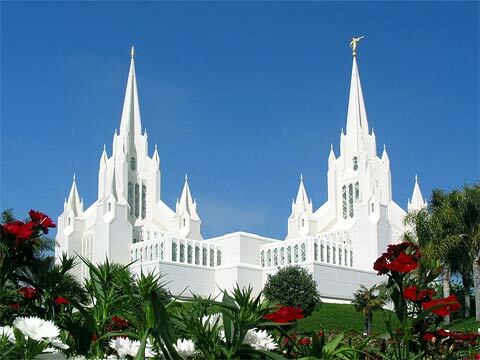 Mormon temple in San Diego… one of many. Others, as late in the history of this New Covenant, attempted to restore New Testament Christianity and maintain the traditions of the simple church, minus the now silent miraculous manifestations of the Spirit in the early 1800s. In this endeavor, many good choices have led the restorationists to a return to primitive practices like water immersion for confessing believers, an acceptance of the priesthood of all believers, and a careful balance of leadership within autonomous Christian communities. While many Bible students discerned the way back to Apostolic authority, some have also gone too far and developed methods of study and modes of operation that have impinged on the freedom that Christ intended for mankind to enjoy in this New Age of Christian Faith. The New Testament has become for these a New Legal system and worship of God its main focus. 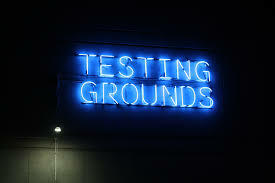 The New Testament has become a testing ground for mankind. Those who see God to as judgmental, angry, overbearing, and demanding, read the literature of the New Testament as a list of legal requirements, discernible to those so enamored by divine omnipotence. Churches spring up and converts gather. Most of these are folks needing to be told what to do religiously: how to live, and when to worship, and what counts to assure a safe arrival into heaven. They adhere to the sacred teachings of their biblical teachers and are not so capable or willing to indulge a study of the scriptures themselves or trust their own cognition to understand the things that have been written. Others see Christ no longer as a lawgiver but as a light in a dark place. He becomes a spiritual leader, a gentle persuader, a patient inspiration of hope. The letters of the New Testament take on a very different meaning for those so enamored with a God who would dare such sacrifice. The letters teach less about law and more about lessons in living. There are no laws laid down for those who are justified by His grace. Laws are for the wicked and the lawbreaker. The New Covenant is seen as a new opportunity to live like God in this life; with joy, direction, hope, wisdom, and peace. The religious life is one of freedom from law, freedom from sin, and freedom from death. Love is the prevailing theme. Love does no wrong to a neighbor; therefore, love IS the fulfilling of anything God could legally require. 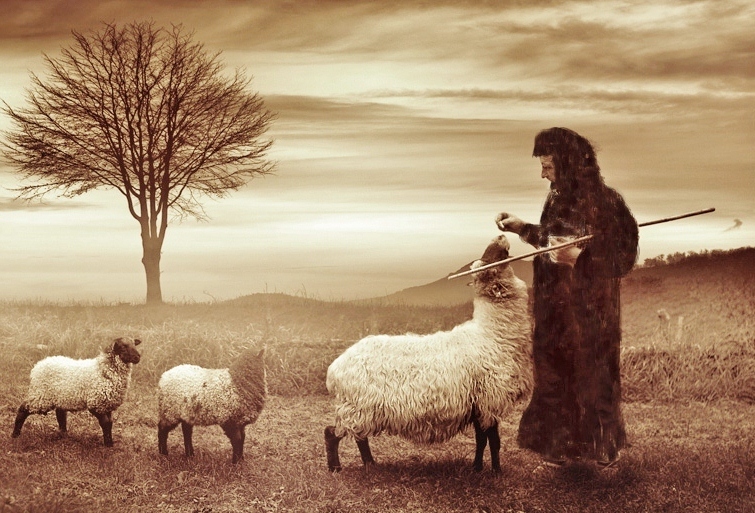 If you love me, feed my sheep! The New Testament is a proving ground. If not read, it will mean little. If read too little, it will mean too much. If read and meditated on day and night, it is a feast for a hungry soul and enlightens one to who God is and what his plan has always been for us. Like many, blinded by the legal authority of a just God, I saw such things as baptism a dividing wall between saved and unsaved. Then, when searching for a scripture to place on my water bottle I read, “Everyone who drinks this water will be thirsty again, but whoever drinks from the water that I will give will never be thirsty again. The water that I give will become in those who drink it a spring of water that bubbles up into eternal life.” (John 4:13-14). In this phrase, Jesus did not speak of baptism but of the living water of his teachings that quench a bone-dry soul and satisfies to the marrow our need for place and purpose. These words of the Master shouted down the legal restraints that bound my freedom. We should not examine the scriptures for what divides us but for what unites us and brings us closer to God and one another. Baptism is a unarguable means of entrance into the kingdom of God. It was not meant to be a closed door to the disciple but an entrance into life. It is time to enjoy God’s friendship. Baptism had its place for me. I no longer search for the things in the Bible that I have to do. Nor would I dare look for things that I don’t have to do; picking and choosing like some dumpster diver, doctrines that are not needed. It’s about living! It’s about being in Him, and he in me. The proving ground of the New Testament has wrestled me to see the message fresh. If we must live by law it is because we are lawless. If we live by His favor, we are loved and so, we love in return. This is the fulfilling of any legal demand God could have placed upon us. This is freedom from religious restraint, legal demands, sin, and death. I cannot find a pattern of worship in the New Testament. I find the habits of early disciples. Examples of a loving community are found here. Solutions to conflicts in the church are presented. The emphasis of this New and Living Way is not placed on when, where or even how to worship God. These are incidental to the Christian community’s deep desire to please the Creator. It is OK to build a church building if it is needed. It is ok to lift up holy hands to praise God. It is not necessary nor is any compelled to give money to a common treasury; this must be a deliberate act of the will and given with pleasure or it is nothing at all. 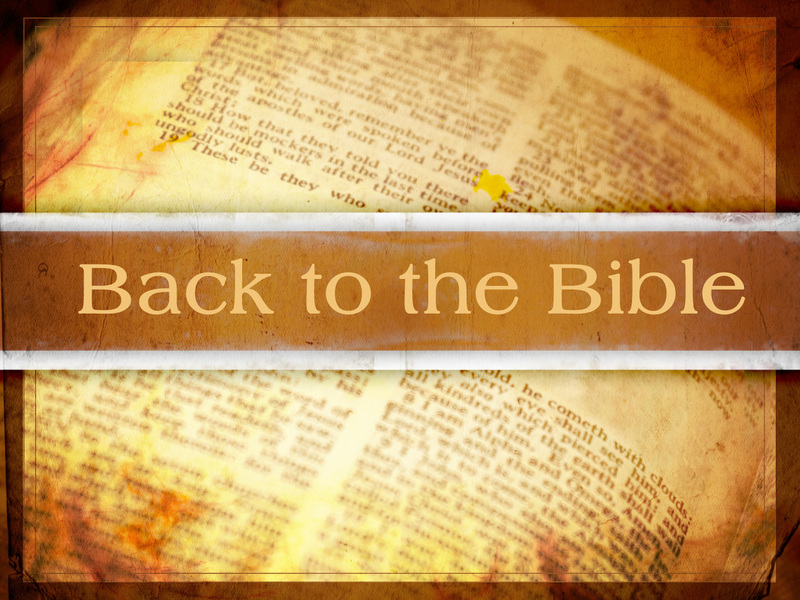 The New Testament lays the foundation for a spiritual life. It does not constrain it. The New Testament is a proving ground. Its wisdom yields discernment and understanding to the point and purpose of human existence. Living a life of worship is very different than doing some “act of worship” or in sacrificing property. Property is valuable and is a gift. God does not want what is ours, however. He wants us! The test is about willing obedience. It is obedience out of respect; out of love for a kind and awesome Creator. It is choosing to resist sin and rather yield to what is right. It is about killing envy and pride and learning to give to those who do not have. It is about acts of care and kindness and learning forgiveness. The greatest will be the servant of all. 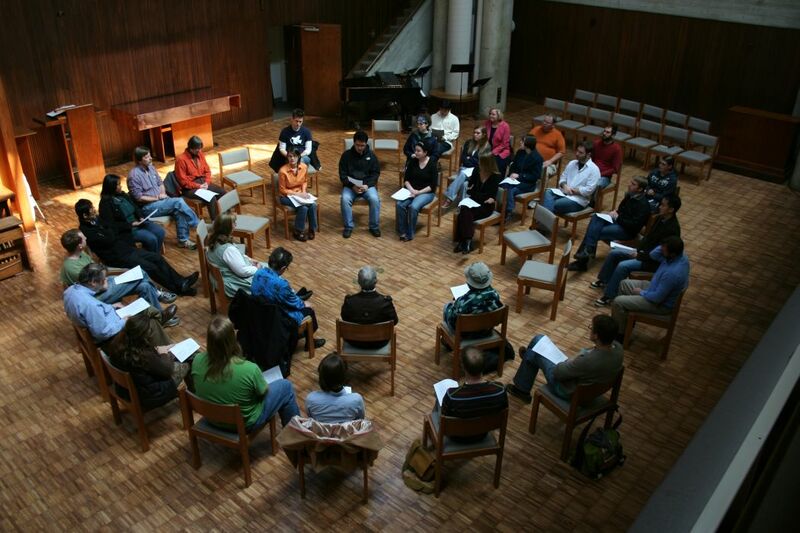 the simplicity of Christian fellowship – strength for the day. The New Testament is a proving ground. It reveals the inner working of self and our response tells the world and God how we understand Him and what we think of his ways. The New Testament cannot be read as a legal system of worship. If that is the interpretation then we have missed the mark. The New Testament is a release from death for those who want to live. 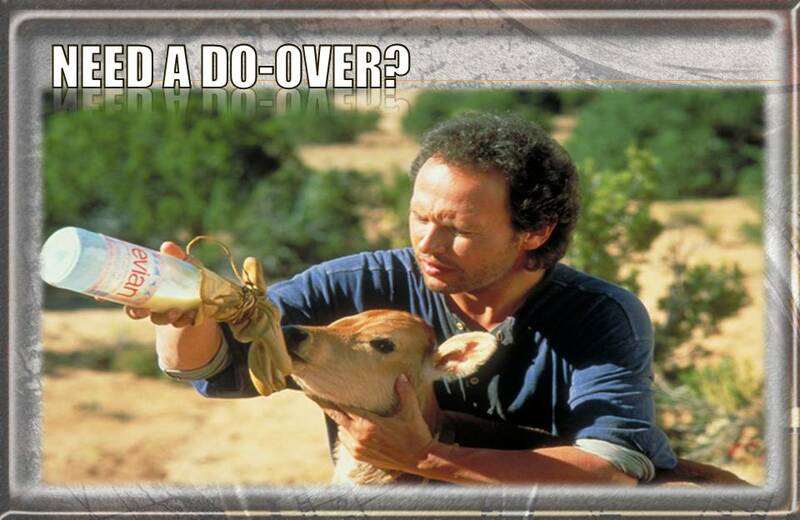 It is a “do over” for those who were entangled in the sin of the world. Christ came not to bring judgment into the world; that was the problem. We all were judged unworthy. He came to save us from that judgment and redirect our steps to a faithful Creator. Worship of God is a normal response to loving Him, not a legislative act of religious obligation. His worship is not in acts of religiosity but the sacrifice of living above the world’s ways; living in the Spirit. This is peace, joy, and freedom. This is salvation; to be united with the creator. God gives us all a chance to do it right this time. This brought tears to my eyes!!! Thanks, Dad!